This fantastic counting book with a sweet story is perfect for parents to read with their toddlers before nap time or bedtime. 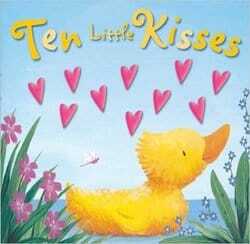 Join the baby farmyard animals as one by one they catch the little kisses before cuddling up with their mummies. 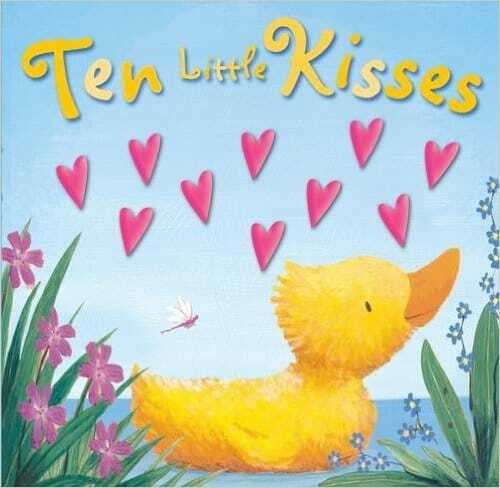 A fantastic book for toddlers learning first numbers, Ten Little Kisses will help children learn to count down from ten as each baby farm animal catches a kiss. With shiny red 3D hearts for kisses that little fingers will love to feel as they count down. As each page turns one less 'kiss' is visible helping to illustrate the concept of counting down.